侯梓园, 高姗, 潘宝平, 闫春财. 2019. HOU Zi-Yuan, GAO Shan, PAN Bao-Ping, YAN Chun-Cai. 2019. Oceanologia et Limnologia Sinica, 50(2): 437-442. HOU Zi-Yuan, GAO Shan, PAN Bao-Ping, YAN Chun-Cai. 2019. CLONING AND EXPRESSION OF IKK GENE IN CYCLINA SINENSIS AND ITS EXPRESSTON UNDER VIBRIO ANGUILLARUM STRESS[J]. Oceanologia et Limnologia Sinica, 50(2): 437-442. Abstract: We obtained the sequence of an inhibitor of nuclear factor kappa-B kinase (IKK) in Cyclina sinensis (termed CsIKK gene) by building a transcriptome library and online analyzed and compared its gene structure in bioinformatics. In addition, we analyzed the expression of some tissues of C. sinensis by PCR and RT-PCR, and the expression of CsIKK gene in hemolymph after stimulated by Vibrio anguillarum. 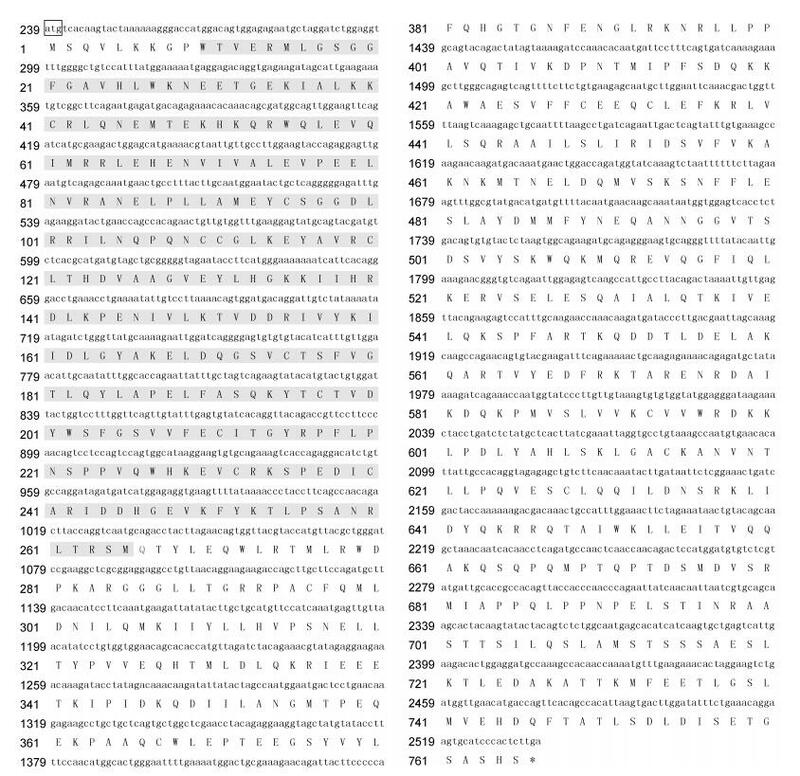 The result shows that the open reading frame of CsIKK consists of 2298bp encoding 765 amino acids. 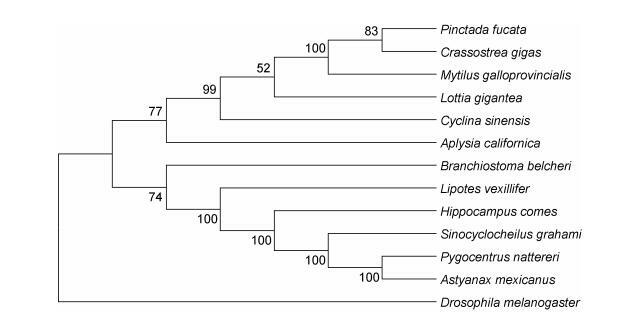 The CsIKK gene was expressed in the hemolymph, liver, coat film, closed shell, gonad, and gill, and the expression level was the highest in its hemolymph. After stimulated by V. anguillarum, the expression level increased obviously and peaked in 6h, which is significantly different from that of the control group (P < 0.01). Therefore, we believe that the CsIKK-guided protein is an important immune signaling pathway protein of C. sinensis.